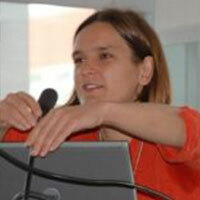 Esther Duflo is the Abdul Latif Jameel Professor of Poverty Alleviation and Development Economics in the Department of Economics at the Massachusetts Institute of Technology (MIT) and a co-founder and co-director of the Abdul Latif Jameel Poverty Action Lab (J-PAL). In her research, she seeks to understand the economic lives of the poor, with the aim to help design and evaluate social policies. She has worked on health, education, financial inclusion, environment and governance. Duflo is a member of the President’s Global Development Council and she is a Founding Editor of the American Economic Journal: Applied Economics. Large cities in developing countries throughout the world grapple with traffic congestion. Driving restrictions are one of the most common regulations to directly lower congestion. The Mahatma Gandhi National Rural Employment Guarantee Scheme (MNREGA) is among the largest social protection programmes in the world.